One of the most common complaints about the internet is website speed – or rather the lack of it. Those operating slow websites are at a huge disadvantage compared with those whose sites respond quickly; most likely missing out on many sales opportunities as a result of this latency. It’s possible that the delays are caused by an overloaded server and switching to one that’s more efficient – perhaps using web hosting services to access low-latency network connections – could dramatically improve speed. That might seem like a big ask, but when taking into account the following, switching servers will seem like a small price to pay. 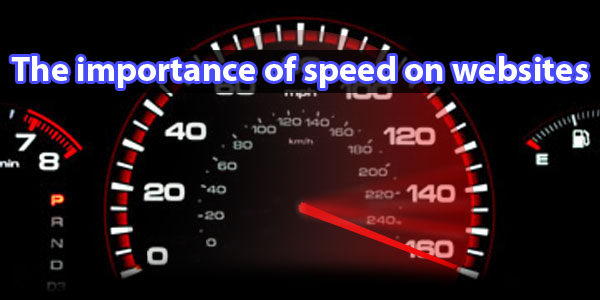 Much research has been carried out on the effects of website speed. Each and every study concludes that a slow website is extremely off-putting; few internet users have the patience to wait while a page loads. Expectations are climbing ever higher each year and statistics show that 75 per cent of people will never return to a site that exhibits a four-second latency, according to munchweb.com. In fact, the average exit rate on a page that takes just two seconds to load is a staggering 15 per cent, while ten percent leave after a one-second delay. A slow website is not only frustrating; it also affects users’ confidence in the site. Some may not wish to enter personal details if the page won’t load efficiently, fearing their information will get lost in the ether. Consequently, a business could suffer from lower traffic leading to fewer sales. To emphasise the positives associated with speeding up a website, however, one online retailer managed to gain a five-second speed up as a result of a performance redesign. This led to an increase in page views of 25 per cent, revenues growth of seven – 12 per cent and a 50 per cent reduction in hardware, according to radaroreilly.com. The retailer saved money while making it. Some of the big search engines also measured the impact of latency on searches made, finding that controlled delays – though in reality, only comprising mere milliseconds – resulted in fewer searches made online. The important discovery of these experiments is the fact that even when latency was removed, users who experienced the slow speeds continued to make fewer searches; demonstrating that website speed makes a lasting impression on long-term internet behaviour. Internet search engines take speed into consideration when ranking websites, thus it significantly impacts upon a website’s visibility. Slow-performing sites are likely to have less chance of featuring on the coveted page one search ranking results. For e-commerce businesses in particular, this is an issue that ought to be tackled quickly. The reason that speed is measured by search engines is apparently as a reflection of users’ preferences – a faster website is indicative of a better customer experience. Faster speeds not only support greater sales but also have a bearing on operating costs, as faster sites are more likely to be hosted on the aforementioned efficient servers. Google itself says that ‘the cost of slower performance increases over time and persists’, but a more efficient server reduces the need for maintenance and hardware. Hopefully the above makes evident that just some very small steps on the part of the website owner to speed up their site could really lead to some incredible gains. To ensure the best possible improvements to website running speeds, perhaps it might be preferable to consult an IT expert? After all, in this age of high expectations, a slow website will serve as a giant millstone; potentially dragging a company down.